9 out of 10 people perceive an increase in hair density. 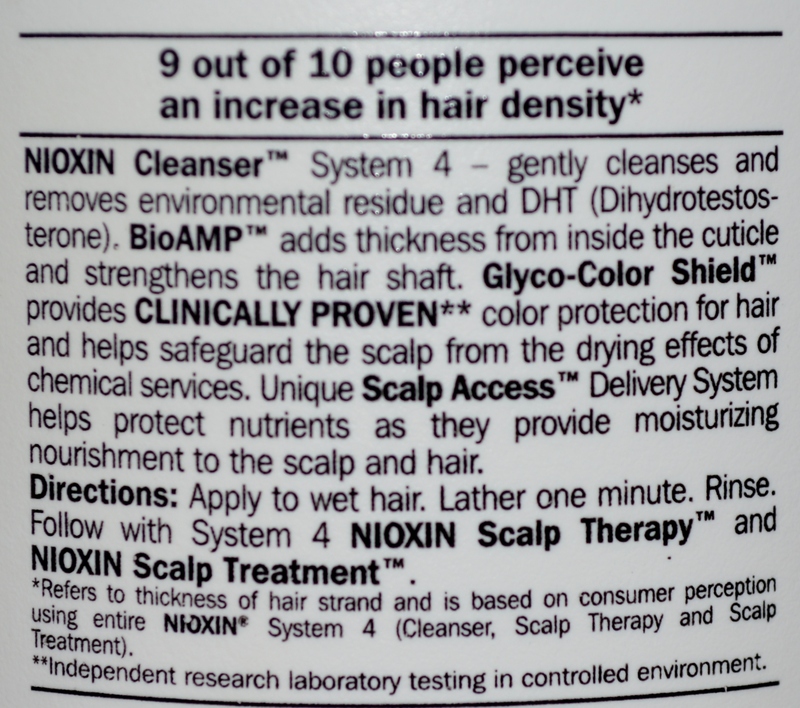 Nioxin Cleanser System 4 For Fine, Chemically Enhanced, Noticeably Thinning Hair. Gently cleanses and removes environmental residue and DHT (Dihydrotestosterone). BioAMP adds thickness from inside the cuticle and strengthens the hair shaft. Glyco-Color Shield provides Clinically Proven color protection for hair and helps safeguard the scalp from the drying effects of chemical services. Unique Scalp Access Delivery System helps protect nutrients as they provide moisturizing nourishment for the scalp and hair. Directions: Apply to wet hair. Lather for one minute. Rinse. Follow with System 4 Nioxin Scalp Therapy and Nioxin Scalp Treatment. 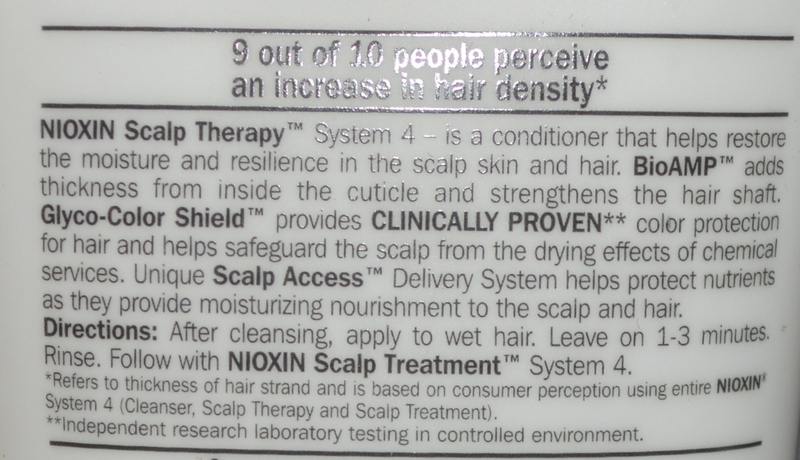 Nioxin Scalp Therapy Conditioner System 4 For Fine, Chemically Enhanced, Noticeably Thinning Hair. A conditioner that helps to restore the moisture and resilience in the scalp skin and hair. BioAMP adds thickness from inside the cuticle and strengthens the hair shaft. Glyco-Color Shield provides clinically proven color protection for hair and helps safeguard the scalp from the drying effects of chemical services. Unique Scalp Access Delivery System helps protect nutrients as they provide moisturizing nourishment to the scalp and hair. Directions: After cleansing, apply to wet hair. Leave on 1-3 minutes. Rinse. 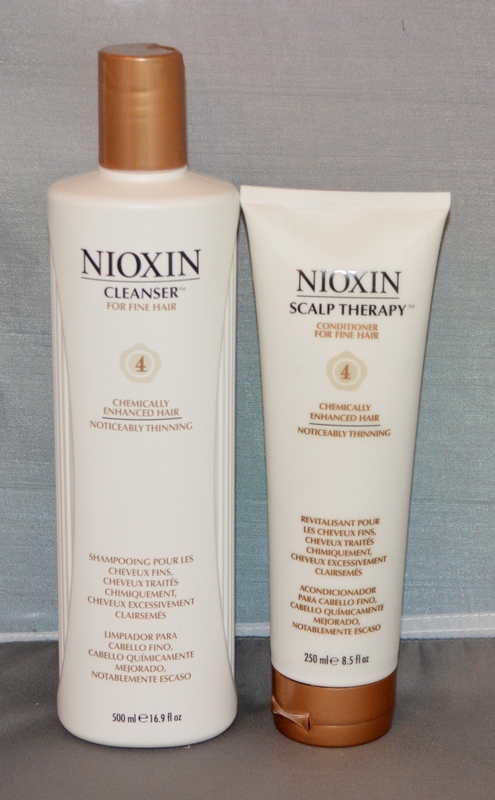 Follow with Nioxin Scalp Treatment System 4. This is a 2 pack, includes 1 Nioxin System 4 Cleanser 16.9 oz and 1 Nioxin System 4 Scalp Therapy Conditioner 8.5 oz.